Saying Jeff Alexander, installing a core server reduces dramatically the attack surface and could reduce up to 70% the updates to install !! That's really important when we know how that activity takes time in most companies. However, on my own experience, I never see a customer installing a core version server and some people even said that core version could disappear in Windows Server 2012. You will learn how to add and remove GUI shell and user interface remotely with powershell. The Remote Server Administration Tools (RSAT) for Windows 8 are available here. A new chapter just appeared in the SCCM 2012 document library on the Technet web site. 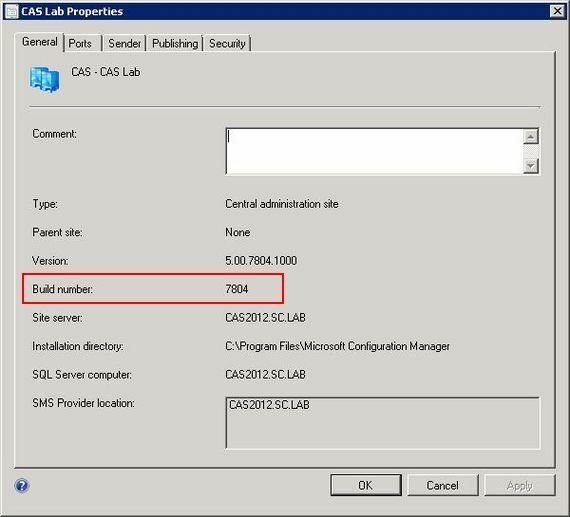 That section is called Scenarios and Solutions Using System Center 2012 Configuration Manager. In this chapter, you will find the example scenarios previously published. You will also find a "how to" guide for Mobile management with Windows Intune. Really interesting !! I recently have to solve an issue concerning Wake on Lan with Computers using Windows 8. You certainly know that you can use that feature for a long time to turn on your computer at home or, in a company with SCCM, in order to deploy KB, applications or OS. However, it seems that this feature no longer works on computers with Windows 8. With Windows 7, even if your computer is totally turned off (Classic Shutdown - S5), your network card can still use power in order to be armed and wake your computer. On the contrary, with Windows 8, default shutdown behavior puts the system into hybrid shutdown (S4) and Network adapters are explicitly not armed for Wake-On-LAN because users expect zero power consumption and battery drain in the shutdown state. - Uncheck “Turn on fast startup (recommended)"
- With Windows 7, if you enable wake on lan on your laptop, your device still use power, even if you shutdown your device. - With Windows 8, you must do a choice between Wake on Lan and "Fast Start Up" + Zero power consumption. - If you need that feature, you can enable it on your desktop. However, it's important to look for impacts for users at start up. You can use performance tools in ADK to get relevant information. - It is really not recommended to enable that feature on laptops and tablets. It is certainly important to contact your devices manufacturer to get information about power consumption in order to identify impact on the autonomy. One of the most important information is certainly that they recommend to uninstall WAIK before installing ADK. 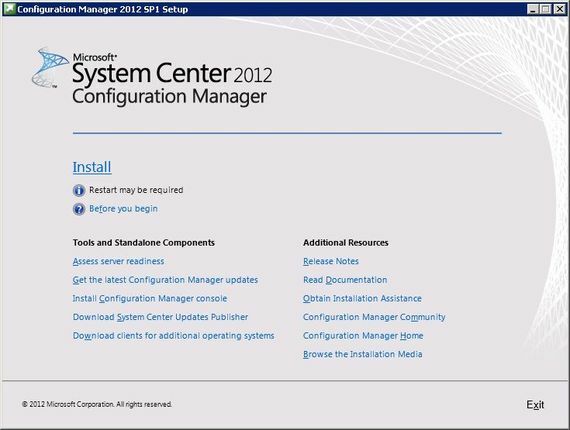 Before upgrading to SCCM 2012 SP1, I recommend you to read Planning to Upgrade System Center 2012 Configuration Manager. 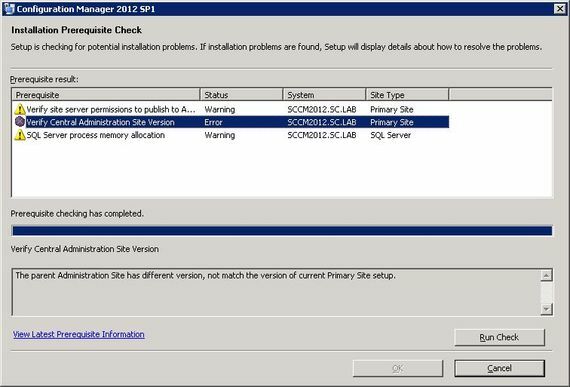 You will also find all relevant information about upgrade in my previous article : [SCCM 2012] Upgrading to SCCM 2012 SP1. 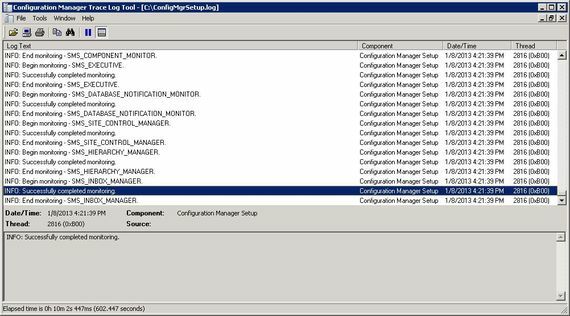 System Center 2012 PFE team just provided us a new list of Antivirus exclusion and recommendations for SCCM 2012 especially if you plan to apply SP1. In this article, you will also get information to update yourself OSD boot image if your antivirus blocked update. Did you ever watch Technet Radio ? That great web site contains several useful videos made by Microsoft Specialists. I recommend you so to look at http://channel9.msdn.com/Shows/TechNet+Radio. 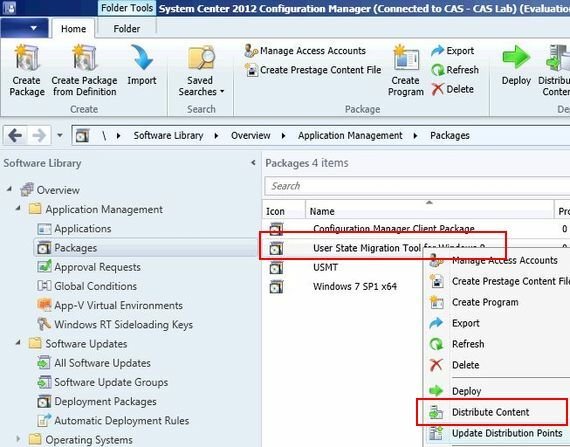 You certainly noticed that System Center 2012 SP1 has been released last year, the 20th of December 2012. 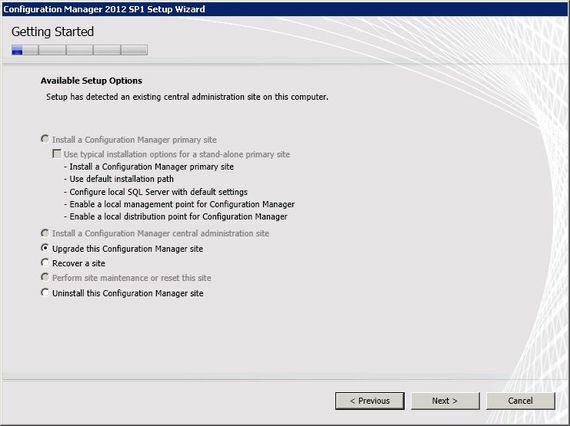 The SP1 provides a lot of new great features for SCCM 2012. 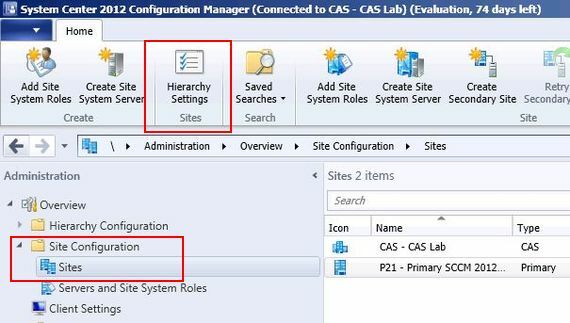 If you have a hierarchy, you must start your upgrade on your CAS and finish by the Secondary sites. Another remark, you certainly noticed that the sources for SCCM 2012 RTM took about 1,7Gb and that the sources for SCCM 2012 SP1 take now only 926Mb. Strange, isn't it ? Indeed, SCCM 2012 doesn't use WAIK but ADK. 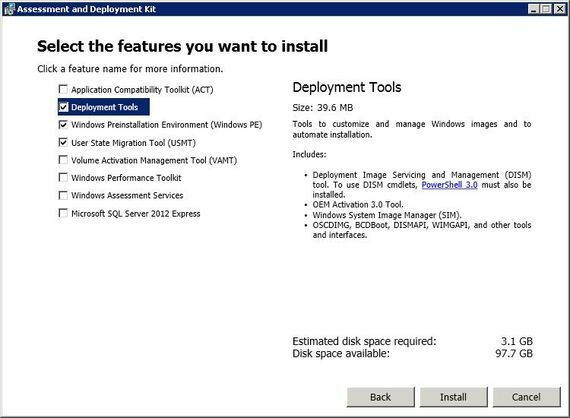 However, ADK is not included in the SCCM 2012 sources. You can remove the WAIK, but WAIK and ADK can be installed on the same computer. You can directly download sources form the Internet or store them locally (highly recommended while full sources take 2,55Gb). That's the step 7 on the Technet page ! 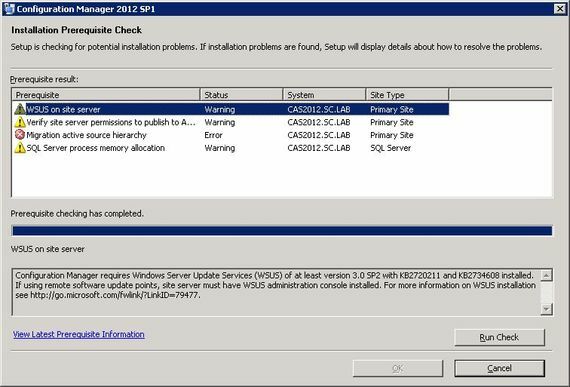 Before you upgrade any sites to Configuration Manager SP1, disable this site maintenance task on each primary site in the hierarchy. 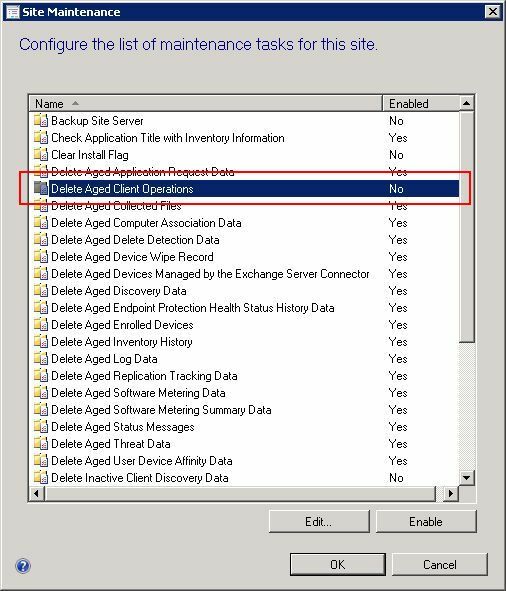 When this task remains active at a primary site that runs Configuration Manager with no service pack, this task deletes information about active client operations for clients that run Configuration Manager SP1. 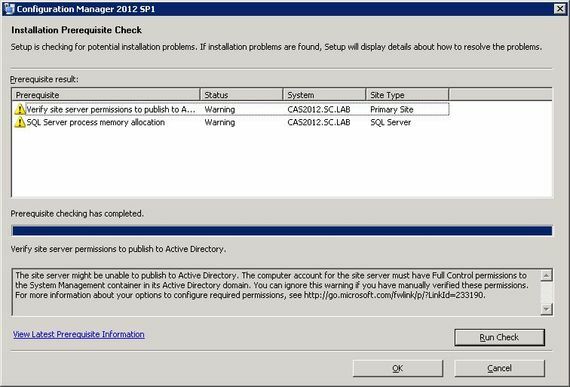 After all primary sites are upgraded to Configuration Manager SP1; you can enable this task for standard site maintenance at each primary site. From the SCCM 2012 SP1 sources, launch <Sources>\SMSSETUP\BIN\X64\prereqchk.exe. Install the KB 2720211 and 2734608. Restart when prompted and clear all the other errors. - validate licences, prerequisites... and launch upgrade. You can check upgrade operations on the C:\ConfigMgrSetup.log file. 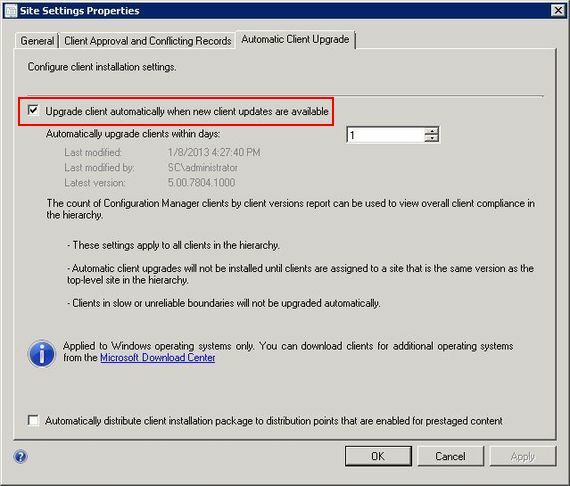 Now that your SCCM Hierarchy is upgraded, you must also upgrade your SCCM clients. If you want to keep control on your deployment, you can still use your favorite method (WSUS, push...). You can also activate automatic Client upgrade. In SP1, It seems that this option works fine. Step 8 - What else ? 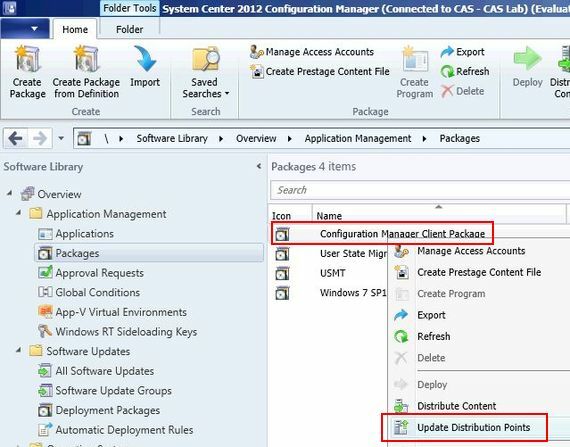 - Upgrade your SCCM Client package, for OSD task sequences. - Deploy the new USMT package created during ADK setup. Note: In a recent article, The MVP JS experienced some troubles after upgrading SCCM sites. On my lab, deployments still work fine, but if you experience problems too, you can apply his workaround. Have a good upgrade !